A new addition to USD Involved is “co-curricular transcript,” an extracurricular resume which shows a student’s list of engagement in their four years at USD. This new asset is meant to boost students’ resumes and participation on campus. Laura Anderton, director for sorority and fraternity life, said this asset automatically records a student’s involvement as students join organizations and attend events. “It makes it a lot easier. For a senior or junior looking to get out to the professional world, it helps you to recount what you’ve done outside of the classroom at USD,” Anderton said. “(We) haven’t marketed it (as a co-curricular transcript) yet because we are still getting students to understand the USD Involved platform,” she said. In an effort to ensure that students maximize usage of USD Involved, a sub-committee including Anderton, Doug Wagner, director of the Muenster University Center and student programming, and two graduate assistants will create content to help market the website, including tutorial videos. 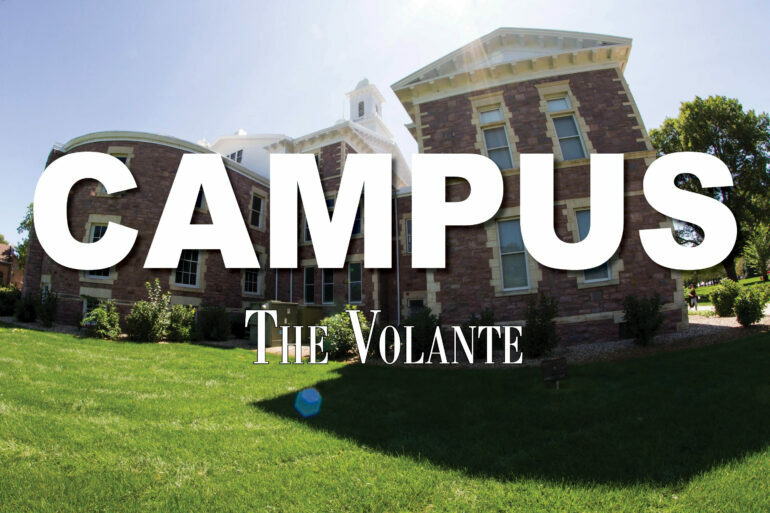 “Over the next five years, we anticipate that this will be a much more integrated piece of the community, something that will be well utilized as students think about their co-curricular experience,” Anderton said. Anderton stated that USD Involved allows organizations to maintain their own content, and have real-time access to the site. “USD Involved was brought to the campus as a way for us to be able to give (students) more hands-on experience with student organization management in a way of being able to be recognized,” she said. Brandi German is president of International Club, an organization that aims to bring all students together regardless of nationality and hopes to educate them on different cultures around the world. “I believe that good impression, open-mindedness, kindness and being comfortable among the members of an organization are necessities when joining a group,” German said. Organizations on campus are categorized into civic engagement, faith-based, academic/professional, social, multicultural/diversity, honor societies, recreational, and greek organizations. Connor McMahen, senior medical biology major, is the president of Doctors Without Borders (DWB), an international humanitarian organization whose mission is to provide medical care for everyone. For McMahen, members of DWB share a common passion or interest in either social work or medical care around the world. “As a rule of thumb, it is important to find a group that will expand your interest and maybe find new things to do. I think student organizations are a good way to learn new things, meet new people that you might not experience otherwise,” McMahen said. Anderton advised that students should explore the website, saying USD Involved is the place to find information very specific to the campus. “Understanding the vast power of this system and what it can do, we really encourage [students] to test it and see what they can find,” Anderton said. Students can check the USD Involved page to learn more about student organizations. Temiloluwa Adeyemi is a senior political science major at the University of South Dakota. Adeyemi is a writer and photographer for The Volante.